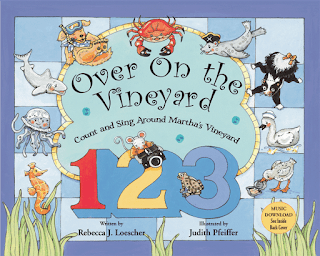 Martha's Vineyard Children's Books: Coming Soon! Due for release in June 2012! 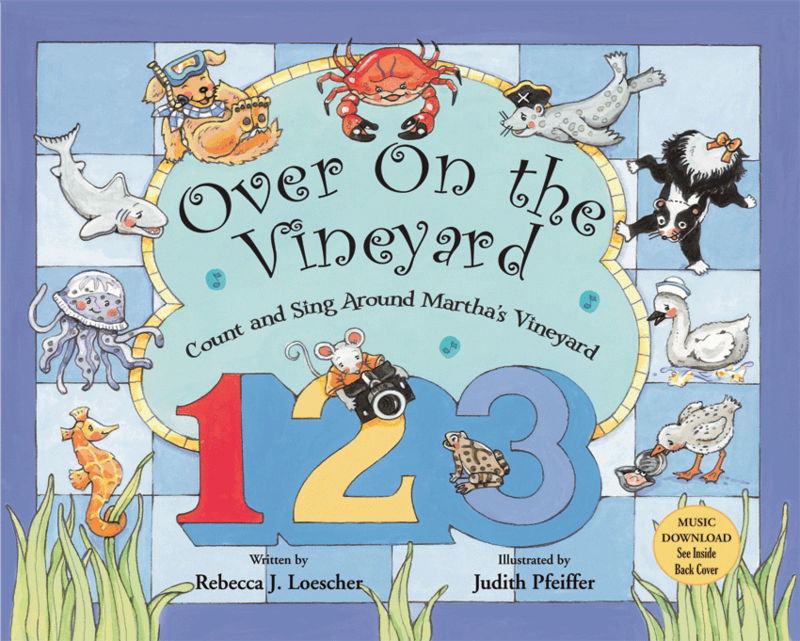 My newest picture book, OVER ON THE VINEYARD, Count and Sing Around Martha's Vineyard, presents counting for young children in delightful, rhythmic verse. Creative nonfiction, it abounds with fascinating island creatures and their young in their natural island habitats. My gifted illustrator, Judith Pfeiffer, has created winsome creatures in each setting, adding her amazing spirit of childlike fun to every page! Children will be drawn to her paintings of attentive animal parents watching over their babies, guiding and keeping them safe. Her facial features add a warm, loving dimension, communicating fun and joy to children...one of her many gifts that drew me to her as an illustrator. In style parallel to the traditional children's song, Over in the Meadow, children can both recite and sing through the book's page spreads, as they discover delightful details in Judy's illustrations. Various locations are spotlighted, including lighthouses, Gay Head cliffs, Lagoon and the drawbridge, etc. Children will be happy to find Mousie's reappearance from my first book, No Turn For Tern. Mousie is also happy to be back with his camera, ready for various scenarios as island creatures play during day. Then, as day fades to evening, and it's time for young creatures to settle down and go to sleep, children will discover one group that stays up all night! And these creatures are very special to Martha's Vineyard, with their own delightful island name! Now in it's 3rd printing! All materials under copyright by Rebecca Loescher. Simple theme. Powered by Blogger.